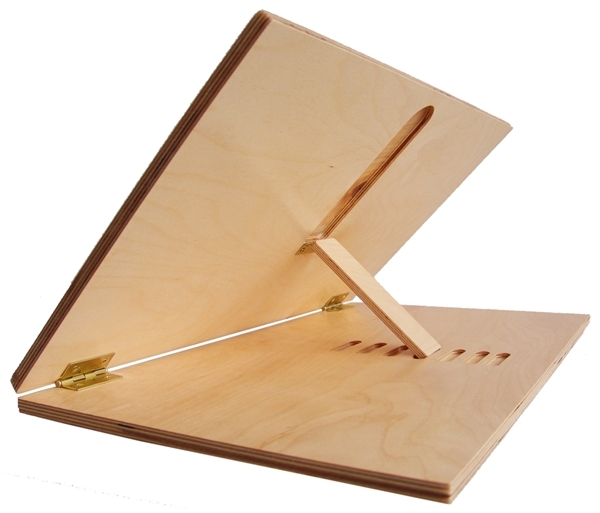 Adjustable Wooden Writing Slope, Small 16"
Transform flat surfaces into an ergonomic desk with an adjustable writing slope that improves posture and enhances comfort. 16"W x 14"D.
Easily adjusts to seven different angles (approximately 15°, 25°, 35°, 45°, 50°, 60°, and 65°) to promote better posture and enhance comfort. Attractively crafted from durable combi-core plywood. Non-glare, low-contrast polyurethane finish. Sets up in seconds almost anywhere and folds up flat for travel and compact storage. Smooth writing surface is easy on your forearm and wrist. Bottom ledge holds heavy books and binders. The center of the ledge (about a 10" length) extends out 3/4" to support thick books. The ledge tapers down on the sides so as not to interfere with your arms when writing. Non-skid, non-mar rubber feet protects desktop. We offer "seconds" at a reduced price. Seconds are pieces that do not meet our first quality standards and are designated second quality. All "seconds" are brand new, never used, structurally sound, and are sold with the same standard warranty as our first quality products. Seconds are sold As-Is and cannot be returned. "B" Quality: These units are new but have a small cosmetic flaw from production, such as a small scratch, a nick, or an irregularity in the finish. Full manufacturer's warranty applies but does not cover the cosmetic flaw. "C" Quality: These units are new and fully-functional, but with defects. Full manufacturer's warranty applies but does not cover the defect. Imperfections may include imperfect finish, scratches, non-standard materials, non-standard construction, and cosmetic flaws. First-quality (A) units ship in 3 - 5 business days factory-direct from Oregon. Second-quality (B, C) units ship in 1 - 3 days from our Vallejo, California warehouse. Free pick-up can be arranged by appointment. 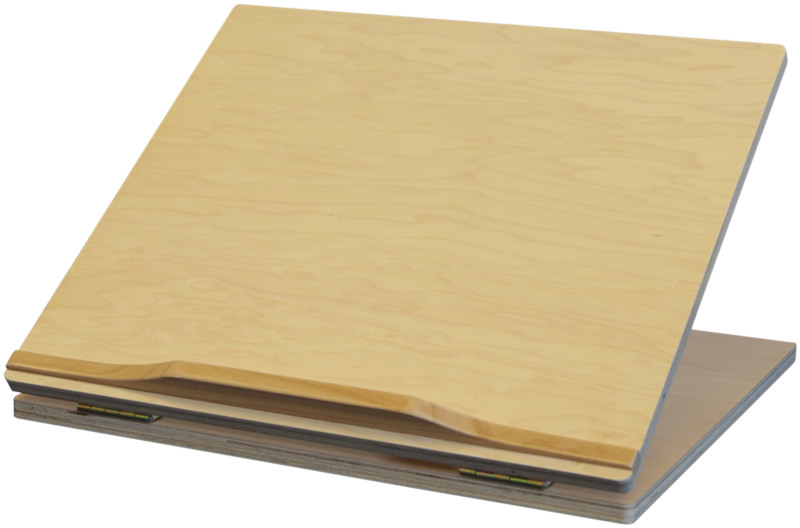 First-quality slant boards purchased factory-direct from us may be returned for a full refund within 30 days of the invoice date. 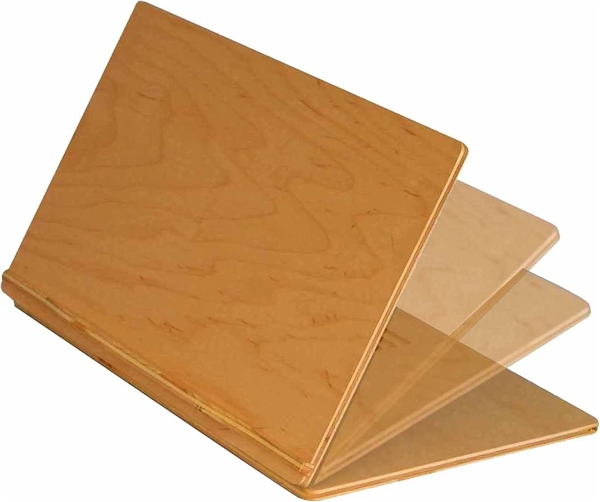 Returned slant boards must be in as-new condition with all original packaging materials..
Second-quality and discounted slant boards are not returnable except in the case of a warranty issue. We do not refund shipping charges. If your purchase included free shipping, actual outbound shipping charges will be deducted from your refund.